As most internet-savvy Silent Hill fans know, the recent rumors regarding Hideo Kojima working on a Silent Hill game are true. 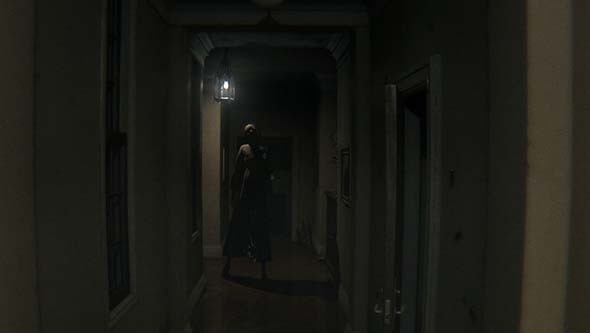 Konami stealthily released a hidden teaser for the project within a demo for a fake game (called "P.T.") being made by a fake studio (7780 Studios). I don't currently own a PS4, since there haven't been any interesting games out for it yet (although Bloodborne and No Man's Sky both look like they sell me a console). As such, I was a little bit late in getting a chance to actually play the "P.T." demo, but I finally was able to play it on a friend's PS4 over the Labor Day weekend. Given my strong opinions regarding the Silent Hill franchise, I thought I'd weigh in on this whole teaser thing. It is, however, important to note that "P.T." is just an announcement teaser, and not an actual demo. As such, it is not necessarily representative of the final game - and in fact, the demo clearly states this in the final cutscene. So the demo doesn't really tell us much about the gameplay or story of the new Silent Hill game. At least not directly. And so any conclusions that any one comes to will need to be taken with some degree of skepticism. The hallway is almost a character in and of itself, and it is gorgeously rendered in Kojima's Fox Engine. The new video is very short, and doesn't give away much in terms of the narrative direction of the new game. In fact, it's probably just another "proof of concept" project, and not actually representative of the final product. The hallway shown does look like it could possibly be the hallway of a school (or maybe a daycare). If it is a school, could it be a return to the familiar Midwhich Elementary?.. I don't typically get excited about E3 the way that other gamers do. I try not to buy into hype, since I've been burnt before. I prefer a good review over the most stellar of previews. E3 tends to be a lot of pomp and circumstance; a cacophony of light and sound and flashy presentations of scripted, pre-rendered previews that are hardly ever representative of the final product. I also haven't been paying much attention to the new consoles. They just don't excite me that much. Most quality games are seeing multi-platform releases these days, which usually includes a high-quality PC port that is at least as good (and sometimes better) than any console iteration. Gone are the days of sub-par, buggy PC ports. Or at least, that is how it seems to me. So I just don't see the new consoles as being worth while as long as I have a decent gaming PC. And in fact, these consoles will likely be inferior to good gaming PCs within a couple years. So what's the point in investing in one? There are a few games on the horizon that look intriguing. I've already talked about Evil Within and Alien Isolation as being two of my most anticipated games of this fall. Both of these games will have PC versions that I will likely purchase, so no need to invest in a new console yet. There's also a new project by the developers of Demon's Souls that was announced as a PS4 exclusive. That game could have the potential to sell a PS4 to me, but I'm going to wait to see more of the game before I get too excited. But E3 did have one stand-out surprise that really piqued my interest. It's a new game by a developer called Hello Games. The game is called No Man's Sky. This game was presented during the PS4 E3 press conference, but it's likely to see a PC version as well. If not, then this title could also turn into a PS4-seller for me.